The AzPA Office will be closed Thursday, Nov. 28, in observance of the holiday. 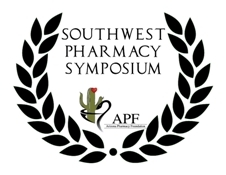 This symposium plans to offer 6.0 contact hours of continuing pharmacy education. ACPE credit for these programs has been applied for. Please refer to the final CPE announcement for specific details. The sky is falling. The statins are coming. At least that's what some folks are saying. According to some interpretations of the latest recommendations issued by the American College of Cardiology and American Heart Association, we'll all be on statins before you know it. What's new in these recommendations is the shift in focus from merely looking at LDL — also known as bad cholesterol — numbers, to a total evaluation of the patient's health and medical situation. The point of tension appears to be skepticism over the true benefit of statins for these new groups, leading to a "vast increase" in unnecessary prescriptions being written. Industry pulse: Will the new statin guidelines lead to a flood of unnecessary prescriptions? Medicare Part D is the rare program that is affordable for both consumers and the federal government. Preferred pharmacy networks, which reduce costs, are a key contributor to the program's overall success as these networks sift out drugstores that demand higher rates than nearby competitors. Unfortunately, officials at the Centers for Medicare & Medicaid Services are considering regulating drug plans' ability to create networks of preferred pharmacies. Hospitalization rates of infants due to whooping cough were generally significantly lower after recommendations were expanded to advise all adolescents to receive the Tdap vaccine. Patients in the ICU with postoperative delirium have lower melatonin levels in the hour following surgery than those who do not experience this complication, findings from a small Japanese study suggest. Rates of vaccination against the human papillomavirus in young women are lowest in the South compared with other regions of the United States, a new study finds. These results are of particular concern since the South also has the highest rates of cervical cancer in the country. Most Americans had never heard of compounding pharmacies until the now-shuttered New England Compounding Center was blamed for making tainted steroid injections that killed 64 people and sickened about 700 others in a fungal outbreak in 20 states. Recently, Congress passed legislation for stricter regulations on them to prevent repeat of what officials have called the "largest documented healthcare-related outbreak in the United States." Just 30 percent of food-allergic children presenting to a pediatric outpatient clinic have a current prescription for an epinephrine autoinjector, with far fewer having chart documentation of how to administer it, according to a new study. A new vaccine has been approved by the U.S. FDA to prevent the so-called bird flu virus in adults at greater-than-average risk of exposure, the FDA said. Researchers at the pharmaceutical company Signature Therapeutics have developed opioid prodrugs that may decrease the potential for abuse. Prodrugs of hydrocodone, oxycodone and hydromorphone released their parent opioids when given orally but were inactive following IV administration in rats. Kids near death because of severe flu infection have a better chance of survival if they are given antiviral medications early in their treatment, researchers say. Children treated with antiviral drugs called neuraminidase inhibitors within the first 48 hours of serious flu symptoms developing are significantly more likely to survive, according to a study.